Silent Siren (サイレントサイレン), also known as Saisai (サイサイ), is all female Japanese Pop Band. This band formed from 4 dokumo (like Kyary Pamyu Pamyu), amateur magazine fashion model for teen and girls. That's why there are so beautiful and stylish. With Michi as additional guitar (until 2015) and Naoki Kubo as sound producer they get so many fans from around the world, not just Japan. When Suu and Hinanchu met in photoshot for CUTiE magazine, they began to share their love about music. Then the band formed when Hinanchu invited her friends, Sogawa Ayana (Yana) and Ainyan, to meet with Suu. 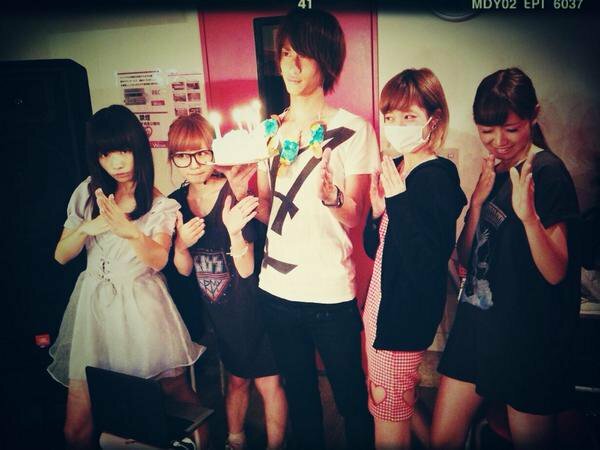 And with help of Naoki Kubo as additional guitar (also sound designer) at that time, Silent Siren formed. With this 5-person formation, they performed their first live in AGESTOCK 2011 in TOKYO DOME CITY HALL event. 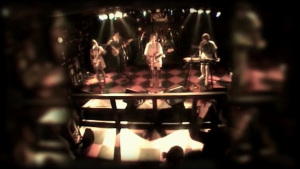 In that event, they perform in narrow stage and few audience. But they keep fight for the band. Four month later, Silen Siren debuted under the indies label Brand-New Music with the mini-album Saisai, an acronym for Silent Siren. After the release of a second mini-album Love Shiru in July 2012, and after their first tour ended that same month, Yana left the band; she was later replaced by Yukarun. Only a few months after Yukarun join Silent Siren, in November 2012, the new line-up debuted under the major label Dreamusic with the single Sweet Pop!. Silent Siren is one of band that release many song in just one year. Not long from first single they release 2nd single stella☆ in February 2013. And just two months later they release their debut album Start→. Silent Siren fever extend to the outside of Japan. They played their first overseas live in Hongkong. 2014 become their first step towards Asia. In 2015 they held tour in Hongkong, Taiwan, and Indonesia. And on the next year, they hold their first world tour visiting many country in Asia and two US location. They also active in Japan, Silent Sire often appear in big music festival in Japan such as ROCK IN JAPAN FESTIVAL, SUMMER SONIC, and COUNTDOWN JAPAN. For celebrating 5 years after first debut, they held a massive tour called 5th ANNIVERSARY SILENT SIREN LIVE TOUR 2017 『新世界』. The word in Japan means The New World. In this tour they visited Hong Kong, Indonesia, Taiwan, and US. They also visited many place in Japan during this Tour. Sumire Yoshida (吉田 菫) is the youngest among all member. She become lead singer and guitar for this group. She often change her hairstyle, we can see from all Silent Siren's singles, her hairstyle always different in each single. She always dreaming to become a model since 3rd year of high school. And she has interest in music since she was in junior high school, at that time she influenced by her older sister. Then she buy a guitar and start practicing some chord, at that time she think play guitar is hard, even just 1 chord. She start play SCANDAL's song and some anisong like K-ON. In Silent Siren, Suu is the writer of almost all Silent Siren song. Her father also a fan of Silen Siren. Not only want to take a picture with Silent Siren members, but Suu's father want to get their sign, even from his own daughter. Suu's father often yells Teppen toru yo (reach the top) at live performance, and that shout is usually used to support idol, not a band. 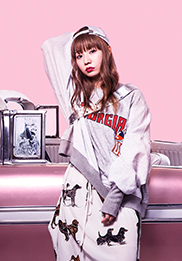 Hinako Umemura (梅村 妃奈子) is the drummer and leader of Silent Siren. She is the most tomboy among the group. When she was a kid, she and her family move to Indonesia because of her father work. But, even she live in Indonesia for almost 10 years, she is not very fluent in speaking Indonesian, because she went to Jakarta Japanese School (JJS). She start move to Japan in high school. Before learn to use drum from her friend, she can play piano and violin. Besides Silent Siren, she become host for Japanese music show "Music Japan TV" in WakuWakuJapan, and she speak Indonesian in that show. 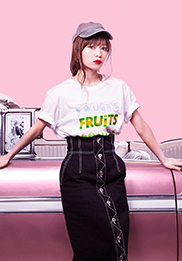 Aina Yamauchi (山内 あいな) is the bassist of Silent Siren. Opposite with Hinanchu, Ainyan is the most feminine person in Silent Siren. Beside bass, her draw skill is best in the group, just like Mami from SCANDAL. She draw mascot of Silent Siren, also her drawing featured on many Silent Siren merchandise. She also has interest in photography, she upload more other member photo (taken by herself) then her own selfie. Among other member, Ainyan is the most active in Dokumo until now. Yukako Kurosaka (黒坂 優香子) is the last person join Silent Siren, after Sogawa Ayana left the group in 2012. She play keyboard and directing fans to perform some movements in their live. She speak in higher tone when in live performance or when communicate with audience, to give cute impression. In early years since she join Silent Siren, she always perform with her twin-tail hairstyle, but now her hairstyle is not always twin-tail. She has very flexible body and she can do split. In Tokyo Idol Festival, she perform with an idol group PASSPO☆. With same dress as PASSPO☆ member, she looks like an idol.